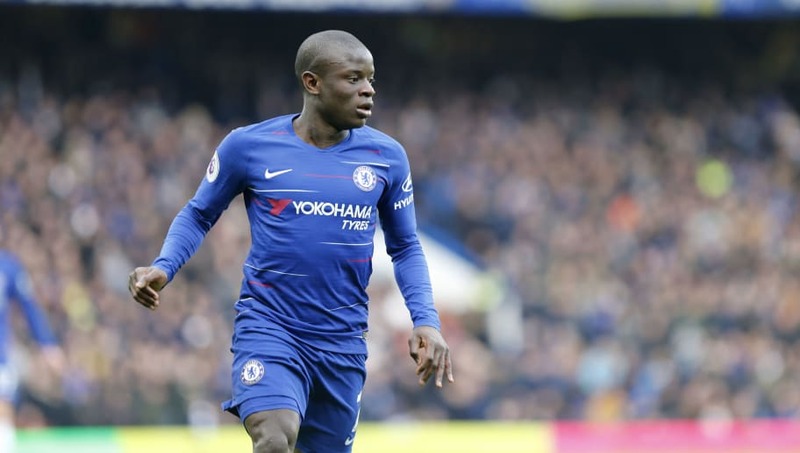 ​N'Golo Kante is still a prime target for runaway Ligue 1 leaders Paris Saint-Germain, according to reports in France, as the club are reported to be undeterred by the new Chelsea deal the midfielder signed earlier this season. Kante put pen to paper on a five-year extension in November, temporarily putting to bed speculation born in the summer linking him with a move to Paris. However, talk of the potential move hasn't taken long to resurface. Despite landing Leandro Paredes in January, French outlet ​Le10 Sport say chairman Nasser Al-Khelaifi is hell-bent on further renovations to his side's midfield, and is prepared to pay whatever it takes to pry the 27-year-old away from Stamford Bridge. The thinking behind the move is that his tenacious midfield attributes would be a huge asset to Thomas Tuchel's side, and the addition of another 2018 World Cup winner would act as a huge statement of intention. Having won Premier Leagues with Leicester and Chelsea, Kante would certainly bring experience of winning trophies to the table, something that can only benefit PSG as they seek to finally win the Champions League. Having dominated French football in recent years, the European trophy remains the primary ambition for the Parisian giants, and they face Manchester United in the last 16 later this month.